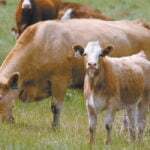 Editor’s Note: This is part of a feature blog article produced by the Beef Cattle Research Council on the value of developing a calving system that separates newborn cow-calf pairs from older calves to reduce the risk of disease spread. The concept is known as the Sandhill Calving system although there are variations on the theme. Doug Wray believes in keeping newborn calves separated as much as possible from other two-week and older calves to avoid congestion and to dramatically reduce the risk of congregated calves developing and spreading scours. And for the past several years the plan has worked. 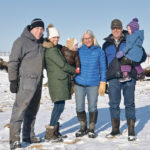 Wray, who along with family members operates Wray Ranch near Irricana, north of Calgary, has developed this calving-on-pasture system over the past 10 years. In his year-round grazing system, his herd of about 300 bred cows moves onto grass about May 10. They actually begin calving May 1 on swath grazing and then by May 10 the pregnant cows move to grass and the first batch of cows with calves stay behind. 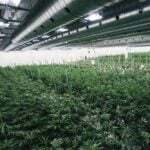 The first grass pasture is 160 acres, divided into eight 20-acre paddocks. “The herd is managed in one group on pasture for about two weeks before we make the first split,” says Wray. At roughly the first two-week mark cows with calves (usually about 120 head) “are taken to fresh pasture in one direction, while the bred cows head to new grass in another direction,” he explains. Wray essentially runs two herds at calving season — one group of pregnant cows that gets smaller with each passing week, and one group of cow-calf pairs that gets larger over the calving season. The pregnant cows are managed on one quarter divided into paddocks, while the cow-calf pairs are managed on another quarter about three-quarters of a mile away. That quarter is also divided into paddocks. The timing of each split of the herd — separating pregnant cows from cow-calf pairs — is determined by “it depends”, says Wray. Part of the decision is based on how fast grass is growing and the other part on how many cows have calved. “It is very much a read-and-react approach,” says Wray. On the pregnant herd quarter, he’s looking to move that group to new grass at least once a week. Pregnant cows are removed from any cow-calf pairs and the pregnant cows go into a new paddock. The cow-calf pairs remain behind. Once he has somewhere between 50 and 75 cow-calf pairs in a paddock on the pregnant herd side of the rotation, he trails those cow-calf pairs over to the pair’s quarter section where they join earlier cow-calf pairs. With each split the pregnant cow numbers gets smaller while the cows-with-calves group gets larger. But it is a parallel system with each group moving to new ground every few days. The rotation is good for calf health and it also fits with Wray’s pasture-management objectives. As grass is rapidly growing he likes to move cattle through quickly to take the first clip off before they return later in the season. 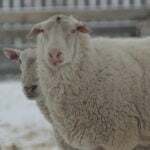 The herd’s breeding season usually runs about 54 days, so the length of the calving season is typically one week on either side of that period. “Once we get to early June we may only have 20 head or so left to calve,” says Wray. By the end of calving season, the herd will be regrouped in a main herd of cow-calf pairs to continue through a rotational grazing system for the summer. “Scours and some of the other newborn calf issues such as respiratory disease, just aren’t a concern,” says Wray. Wray says his management strategy for healthy calves is to keep newborns separated from older calves and always keep the calving herd moving to new ground a buildup of disease bacteria. “The system seems to work well for us because we are calving later, calving on pasture and we are also moving cattle to make sure they have fresh grass,” says Wray. 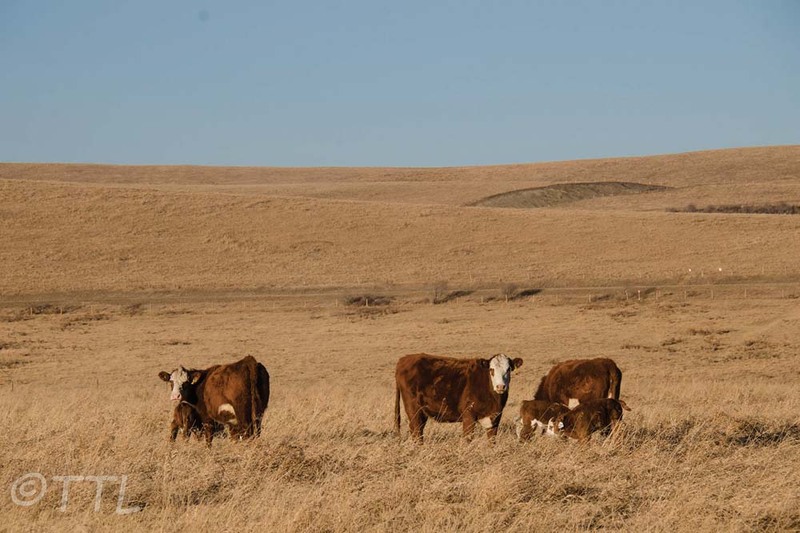 While the system might be dubbed the ‘Wray Calving System,’ it’s similar to the Sandhills Calving System developed by the University of Nebraska about 20 years ago. Adapted for pastures in the Sandhills of Nebraska, the system was designed to protect calf health by providing separation between newborn calves and older calves (two weeks and older) during a critical time of the year when the risk is high for disease, especially scours/ Many Canadian veterinarians and other animal health specialists are encouraging more producers to consider the Sandhills Calving System or some variation to reduce the risk of calf losses due to disease. The idea of the Sandhill calving system and other similar systems is to give cow-calf pairs plenty of room and to keep older calves (say the two-week-old-plus calves) away from newborns to reduce the risk of newborns developing scours. Dr. Elizabeth Homerosky, a veterinarian with Veterinary Agri-Health Services in Airdrie north of Calgary, regularly recommends the system or modifications to her clients. 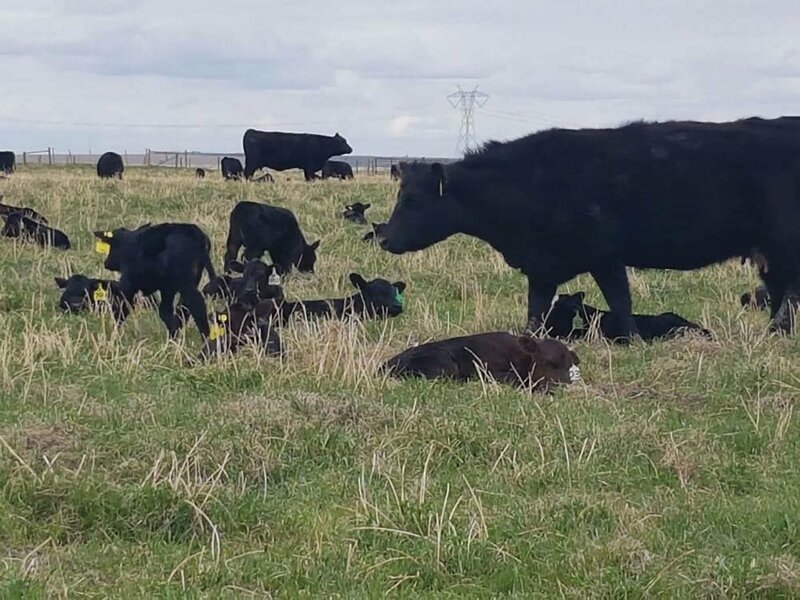 Newborn calves commingled with older calves, particularly if they are concentrated in a relatively small area, and particularly if weather is cool and wet is really the ideal scenario for the development of a scours outbreak in a cow herd. Research has shown the cycle of scours at calving often originates with mature beef cows as they carry the scours pathogens — viruses, bacteria and microscopic parasites. 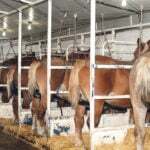 Cows shed the pathogen on the ground in manure. Newborn calves often pick up the pathogen and may not become sick, but their guts serve as pathogen-multipliers. These calves shed an increasing load of pathogen onto the calving ground, then newborn calves come along and pick up the heavy load of the bacteria. The dose-load of pathogens overwhelms the calf ’s ability to resist disease, and suddenly the producer is dealing with a bunch of sick calves. If a beef herd calves on the same area year after year, the soil can also be contaminated with scour-causing pathogens. So by keeping the more vulnerable newborn calves on clean ground away from the higher-risk two-week and older calves, the risk of a scours outbreak is greatly reduced.